The full definition of SEO is Search Engine Optimization. SEO (Search Engine Optimization) is the key of the success of any blog or website. If you do not do SEO of your blog or website, it will be very difficult for you to earning from your blog or website. A blogger will how much success in the blogging, its depending on he how much experts on SEO (search engine optimization). If you know the basics of SEO (search engine optimization) then you can optimize website/blog post according SE (Search Engine) as well. Every blogger wants all posts written by him should come first in the Google search result page SERP and most bloggers remain unsuccessful in it. Basically Whether or not your post on Google's search result page (SERP) will be on the first page, it depends on how you have done seo on that post. If the SEO of your post is good then your post will definitely come to good position on Google search result page and if you have not paid attention to the SEO of your post then your post will never get a good position in Google's search result page . If you know the basics of SEO (search engine optimization) then you will be able to do SEO well on your post. Today every blogger wants to earn more from his blog. To make more money, more traffic should also come on the blog. And to bring more traffic to your blog, the blog or post will have to be brought to Google's first page, and your blog or post will come to Google's first page only when your blog's SEO is good. In this way we can say that SEO affects your earnings somewhere. If we will Knowledge well on the SEO then we will earn more . That's why SEO is so important for a Blogger. It does not matter how good content you wrote in the post, if you did not do SEO good for that post, then all the content is useless , in other words no meaning of any Blog or Website without SEO. In order to improve your position in SERP (search engine results page), all actions taken within a post or website are called "On-Page SEO". For examples, ways to optimize content or improve meta descriptions and title tags are covered under "On-Page SEO"
we all know that today the majority of Users Use Internet Computer or in Mobile than Laptop do more. Some are such Themes that does not Support for Mobile, which is inconvenience in obtaining information from the Website to the User. Google does not ever Rank such Websites. But in some Themes that are opened too easily in Mobile. Such Themes are Responsive Themes says. Always Use a similar Responsive Theme for your Blog or Website. I have said many times that holds Post Length is very important to Google. If you want the best On Page SEO your Blog Write always elongated Post. Try to write at least 2000+ words every Post. It will SEO Improve Your Blog or Website. On Page SEO is huge hand Post to Title improve. You're trying to get Rank Your Post on the Keyword, he should also be in the Title Keyword your Post. If you will write anything like its Post's Title will be difficult to Rank your Post. as the Post the URL we Permalink says. Any Permalink plays an important role in providing Rank the Post. Permalink to we can Modify your convenience in many ways. Best Permalink it is that we Use the right after Main Keyword its Post your Domain Name. Likewise Set your Permalink. It Your On Page SEO will be good enough. whenever we write a new Post has also Use of that Image. It might also lack Google that Google could not see any Image. He could only read the Image. If we are an Image for Use in Post we will tell Google that our Image is associated. Only Image will not benefit from tax Use. For this we have to resort to Alt Tag for. The Keyword you want to Rank, he should Use as the Alt Tag Your Image. On Page SEO is huge hand Website Speed ​​in good or bad. You always do not get much time to do Use of a Theme, which Open. If your Blog or Website you take more time to open, it will become your On Page SEO poor. Almost all early Website Speed ​​right, but is it the problem seems to come a few days later. We fill your Blog or large Images in Website, Videos, Plugins and Codes of all kinds, which is due to significantly lower our Website to Speed ​​with. The Keyword We would like to Rank, he should be approximately 2% of our Post. In the Keyword much Vjay of times, similar to other Keywords too Use less than 3 times at least 2 of them to. Make Use of most Keywords of the Post, but not unnecessarily. Be when needed Use of only Keywords. Also before the start of Paragraph your Post should be your Main Keyword. your On Page SEO also use Internal Links in Post for good. You must use at least 5 Internal Links in Post. This similarity should be all Internal Links the Post that meets your the Post. When you Links Share your second Post in between the Post that User will have more time on your Blog or Website. It will improve significantly your On Page SEO. provide Rank a Post Meta is very Important Role of Description. Meta Description is the most Important part of your entire post. Your Post the Meta Description is the only Show on Google's Page, so it is much needed attention. No User will Click on the Post or not, it is largely Depend on your Post the Meta Description. even Use of Heading and Sub-Heading in the Post. Your Main Keyword should also Heading Your Post and try must be at least 3 Sub-Heading. It Your On Page SEO will be good enough. To promote your link of post or website on the Internet to rank in search engine, it is called "off-page SEO". When your post is promoted and shared on the Internet, the search engine's bots get information about it. Which means the search engine increases the ranking of that post. Off Page SEO is done in many ways, some of which are as follows. Off Page SEO is the first Step, to the Sitemap of your Blog or Website Submit to Search Engines. You Submit a Sitemap of your Blog or Website in Google, Bing, Yahoo, Yandex All Search Engines. 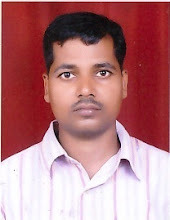 Sitemap in Search Engine for any Search Engine to Submit it easier to detect Structure your Blog or Website. Sitemap of your Blog or Website in Search Engine benefits to Submit are not limited to. It would also give all Errors coming into your Blog or Website. that most Important to Your Blog or Website with SEO is something, it is - Backlinks. Without Backlink we can not even imagine SEO. The more your Blog or would Quality Backlinks the Website, the more will be Rank Your Website Google. Try to make more Quality and Dofollow Backlinks to your Blog or Website. to Share on Social Media for your Post Off Page SEO of a Part. Facebook has become another form of today's Social Media. Without Facebook, we can not even imagine of Social Media. If you have a Page Create on Facebook under the name of your Blog or Website if you want to accurately advantage of Social Media. If possible, also the Page of the Promotion. Try more join Facebook Groups and there Share your Post. This will give you good Traffic. we people ignore Google Plus before Facebook. In the field of Social Media Google Plus has also had a very different place. Google Plus, Google itself is a Product. Fewer evaluate such will be our mistake. You will find large Communities in Google Plus, which you can Share your Post. Even you'll get good Traffic. If you want to get Quality and Dofollow Backlinks for Free Directory Submission will be the best option for you. Click Submit definitely good Directories your Blog and Website to Link. The Result is a little delay, but is it good. 6. Guest Post - it's Traffic and significantly Popular way to get Backlink both together. To the best of course Blog Guest Post. Off Page SEO is the best way to good to write Guest Post for. Make sure Comment on matching Blog or Website and its Niche (Topic). In the beginning you easily meet Traffic. Second Blog Comment allows you to get Backlink too. We do however Comment receive the most Nofollow Backlinks. A good SEO is needed Nofollow Backlinks. Off Page SEO will be good to you remain Active on Websites by Question & Answer for. Like - Quora. You can here questions to Ask by people. Under the Answer You can give your Blog or Link to your Website. Here are also found both Traffic and Backlink. So Friends I hope by reading our this Post (What is SEO and How It Works) you will have to find answers to some of these questions that What is SEO and How It Works , Why we do SEO , SEO, On Page SEO's, Off Page SEO? If you Share it much more than when we started this Post good. 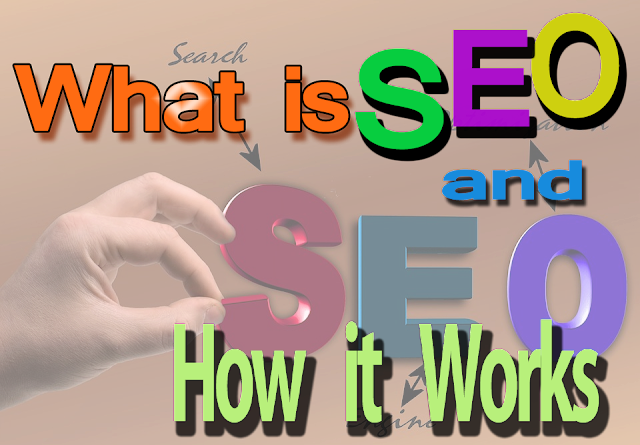 If you feel you have any questions related to what is SEO and How It Works, so you can Below Comment Us. We will of course you respond.